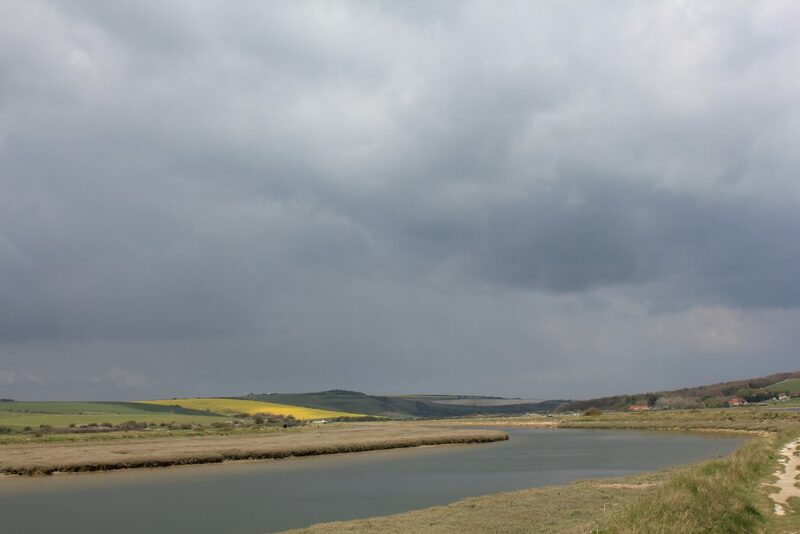 A trip to Cuckmere Haven. It felt bold and exhilarating. I needed to breathe new air. I needed to be elsewhere. 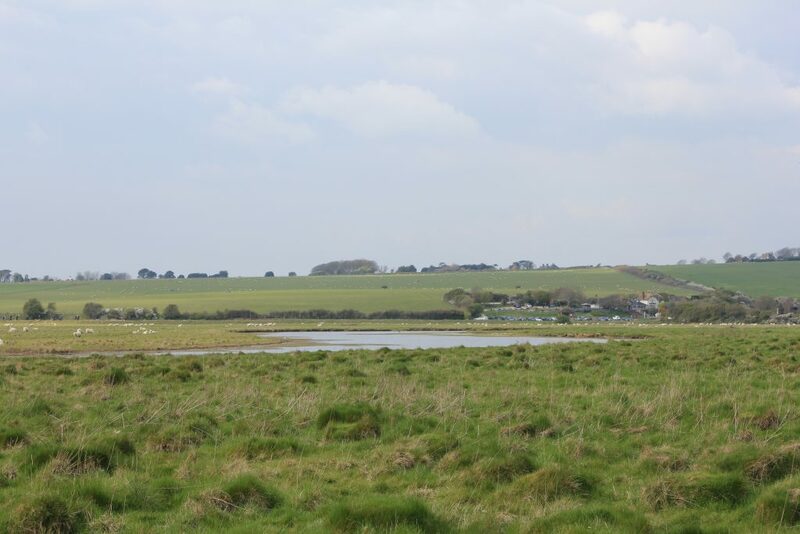 I had connected with the slow moving, meandering nature of the river that winds through the valley on a previous visit. Eighteen months ago I had walked its length to the sea, but felt exhausted by it. I had pushed myself to reach the destination, pushing further to get back again. Looking back it is a memorable moment, a clue to my incubating illness and my own denial of it, or just a lack of recognition. 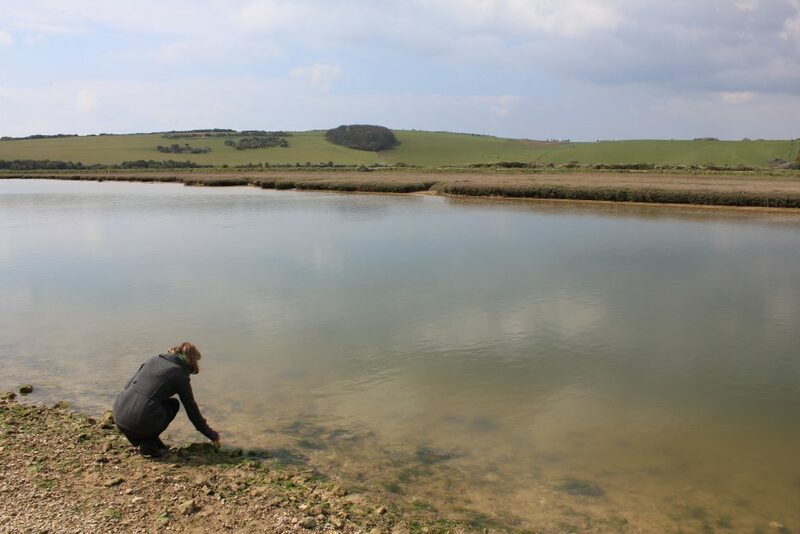 A short while after recognising my need to again rest, to recuperate at a rate that my body will allow, my thoughts – when they returned – remembered Cuckmere Haven. It is taking the path of least resistance, I thought. It is going as quickly as it is able. This is the most direct route. it resonated with my own limited levels of energy, of the importance of holding on to a belief that, no matter how slowly I am moving, it is the best and most effective way to travel, to recover. I didn’t get as far as the sea this time. I didn’t expect to. I wanted to be there, that’s all. To breathe new air and to check it still existed – like a toddler, I feared it may disappear if I could not see it. Or perhaps I feared that it was me that could disappear. I collected a jar of water. Evidence. A memento – a sign to help me remember. This entry was posted in Reflections in landscape on April 14, 2019 by Louise Kenward.